The Kraken went yard thrice. Yankees catcher Gary Sanchez hit three two-run home runs to lead the Yankees to a 15-3 victory over the Baltimore Orioles, which secured a three-game sweep. The Yankees won three in a row thanks to the long ball. 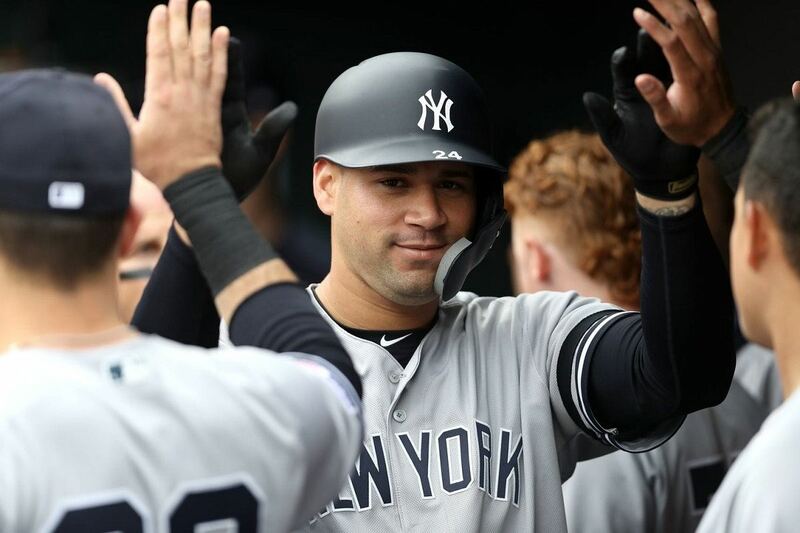 The Bronx Bombers crushed seven home runs in total with three from Sanchez, plus two from Clint Frazier, and one each from Gleyber Torres and backup catcher Austin Romine. The banged-up Yankees have 11 players on the IL right now. The replacement players, like outfielder Clint Frazier, have an opportunity to make major contributions with the team suffering from a wave of injuries. The Yankees called up Frazier after Giancarlo Stanton went on the IL. The team did not expect Frazier to replicate Stanton’s power, but he demonstrated that he’s got a little pop in his swing. Frazier hit three homers in Baltimore over the weekend. Gary Sanchez came into Sunday’s game with three home runs. All three dingers were solo shots. Sanchez hit three home runs with a runner on base each time. He drove in six RBI in total to improve to 9 on the season. With six home runs, Sanchez leads the American League. He was tied with Cody Bellinger from the LA Dodgers for the MLB lead until Bellinger went deep with a solo shot against the Colorado Rockies on Sunday evening. Sanchez increased his batting average to .250. Six of his eight hits this season were long balls. He’s also struck out seven times. Interesting to note that Sanchez did not catch this game. Manager Aaron Boone inserted Sanchez into the lineup as the designated hitter. In his first DH start of the season, the Kraken unleashed a multi-homer game. The Yankees hosted Baltimore on Opening Day and dropped the opening series of the season against the Orioles. The Yanks lost the next series when the Detroit Tigers came to town. The Yanks started the season 2-4 and would have been worse if the Red Sox were not suffering from a World Series hangover. The Yankees swept the Orioles to get back on track. The Bronx Bombers came from behind to win the first game 8-4. James Paxton earned his first win for the Yankees thanks to heroics from Gleyber Torres, who smacked a three-run home run to put the Yankees ahead. The Yanks won the second game 6-4 because slugger Aaron Judge woke up from his slumber and hit a pair of home runs. On Sunday, the Yankees sealed the sweep with seven home runs, including multiple dingers from Sanchez and Frazier. Meanwhile, Orioles first baseman Chris Davis can’t buy a hit to save his life. Davis is bogged down in an 0-for-44 hitless streak that dates back to last season. He’s two away from tying the all-time record. The Yankees continue their road trip with a three-game series in Houston this week. The Yankees were the team to beat heading into this season. However, the rash of injuries forced bookmakers to tweak the odds. The Yankees are grouped together with the Houston Astros and LA Dodgers at 6/1 odds to win the World Series.